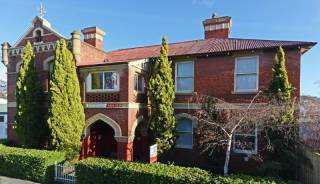 Accommodation in the Hobart & Tasman Peninsula, TAS region. Book holiday houses and apartments for rent or browse towns for accommodation. 68 properties found in this region. Hobart is best known for its 19th century waterfront warehouses that once bustled with whalers, soldiers, opportunist businessmen and petty bureaucrats. Today they house cafes, restaurants and studios. There is so much to see and do in Tasmania’s capital. 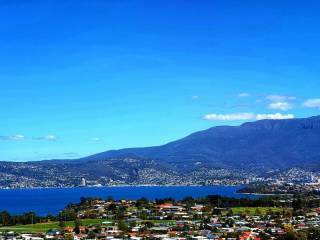 Fly into Hobart and use this as your base to explore this beautiful state. Hobart is a city of warm sandstone and settlers’ cottages, with great food, coffee, beer and wine. 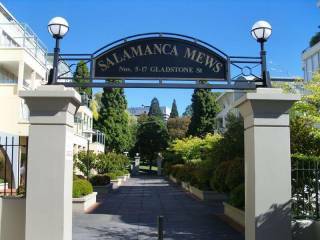 Stroll through Salamanca and admire the arts and crafts at galleries, shop at the Salamanca Markets that are held every Saturday. Visit Parliament and historic Government House and walk through the gardens. Enjoy local beer at a pub while feasting on fresh seafood. 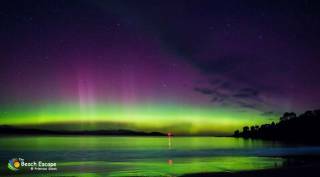 Take a cruise to Bruny Island or observe the yachts on the marine. The Sydney to Hobart Yacht Race finishes here every December and January and the city is buzzing with celebrations. Choose Hobart for your next holiday and be surprised with what this beautiful city has to offer you. The Tasman Peninsula is best known for its farms, forests, sheer dolerite cliffs with sweeping views across the Sea and the place of the world’s southern-most historic prison. Sample oysters at Barilla Bay as you drive south-east from Hobart. Stop at the historic town of Sorell absorb the heritage, scenery and wildlife. Taste wine at small vineyards in Copping or have a bite to eat at local cafés specialising in octopus, oysters, venison and quail. Shop for crafts and antiques or pick up fresh seafood from Dunalley Fish Market. Hike through the Tasman National Park exploring beaches, forest and 300 metre sea cliffs. Visit Port Arthur Historic Site and explore the prison with its 19th century-style gardens and surrounded by old oak and elm trees. Cruise the bay to Point Puer, the boys’ prison, and the Isle of the Dead. Port Arthur overlooks the water and is a great place to stay when exploring the area. Showing 1-115 out of 115 places found in this region. Charbella's on Norma is a modern fully self contained two bedroom apartment that offers spectacular views of the Derwent River, Mount Wellington and Hobart's CBD.Come and stay and appreciate our " Piece of Paradise" in Hobart. Roomy house in peaceful setting. Great for indoor/outdoor living, cool in summer, captures winter sun.Beautiful beach a short walk. 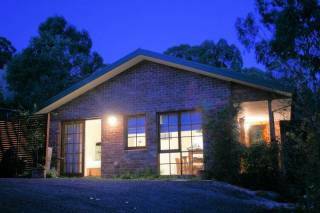 Easy drive to the airport, Hobart and other tourist destinations. 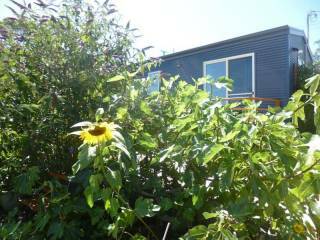 Holiday home situated in quiet area of Dodges Ferry. 5 bedrooms, 2 bathrooms, large open plan living with timber features, rugs and furniture to create a warm ambience. Separate quiet room with open fire. Large deck and great views. Great for 2 families. Discovery Holiday Parks – Mornington offers 3 star comfortable cabin and cottage accommodation in a relaxing environment. Feel like you’re a world away in our comfortable cabins with all the facilities you’ll need. 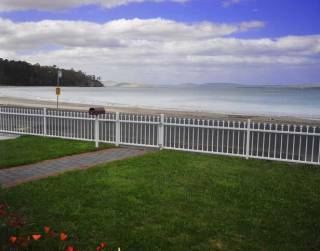 19 Blue is a cosy, self-contained cottage conveniently located in the lovely, beach side suburb of Blackmans Bay. 19 Blue makes a wonderful base for all your southern tourism destinations. Located within a minutes walk of shop, post office, restaurant, cafe and bus stop the house is very comfortable and convenient for families and business people. Absolute beachfront house right on the sand in world class location on world class beach with views to die for. Frogmouth Cottage is magical, mesmerising and priceless, there is nothing like it. Newly renovated apartment with incredible water and mountain views. 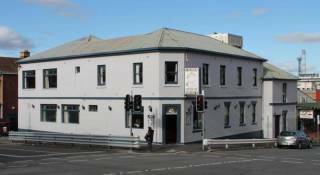 Close to UTAS and Hobart CBD, walking distance to beach and shops. Three bedrooms - one with king bed and two with queen beds. Well-equipped kitchen and laundry. Free parking and Wifi. 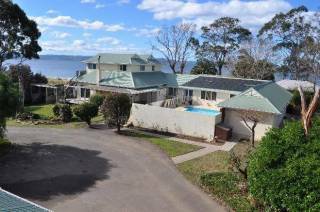 Possums self contained apartments are nestled in a secluded bush setting in Lindisfarne with spectacular views of Tasman Bridge, Derwent River and the Hobart city skyline. With 4 Apartments to choose from these apartments are perfect for couples. 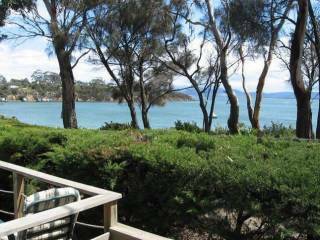 Riverside Cottage is located centrally to Hobart and Port Arthur as well Richmond. There is a private jetty and boatshed which comes with 2 kayaks and a row boat for our guests personal use. 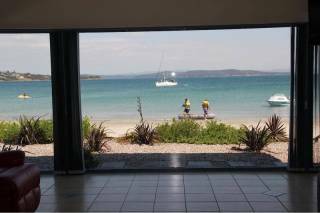 Want a beach side holiday half way between Hobart and Port Arthur? Maybe a 2 bedroom home that sleeps 5 and is only 2 minutes from the beach? 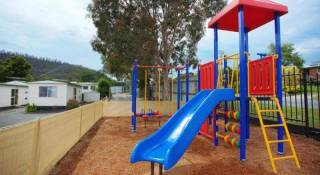 Want to keep the kids entertained with games, sandpit, cubby house, XBox and movies? Then look no further! 4.5 Star self rated - Walk in, select your bedroom, then relax in the spacious living area. Quick stroll to the Salamanca precinct, home of award winning restaurants and the Salamanca Market. Complimentary wifi. Edinburgh Gallery Bed & Breakfast has ten guest rooms, all equipped with heating and electric blankets. They all have tv, tea/coffee making, fridge, desk lamp, clean bathroom with towel, soap and shampoo. Hearty continental breakfast with local produce. It takes about 30 seconds for your feet to hit the sand on Kingston Beach after you leave the front door of this two-bedroom, beachside apartment. 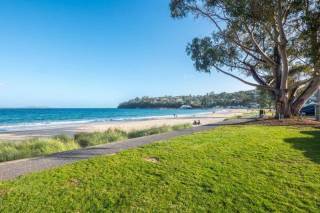 With its modest backyard with beach views and cafes down the road, Osborne makes a lovely basecamp.